We mainly multiply hybrid row crop seeds for our customers. 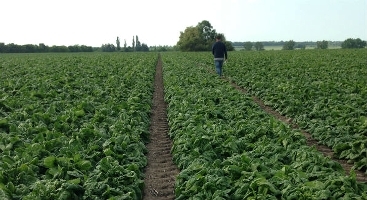 Our main crops are spinach hybrids. Chinese cabbage and hybrid pak choi are a part of our core production as well. On the following pages you can see that we have a big variety crops, both of e.g. annuals and perennials. Every year we have a big production of chrysanthemum garland, cress, radish, some flower seeds, peas and herbs like chervil, chives, parsley and thyme. If you have a wish for another product, please contact us.